When you are searching for a special gift, it’s hard to find something out of the ordinary… but we can help! 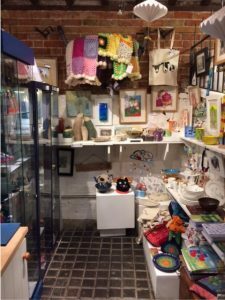 Our small-but-beautiful shop features handcrafted work from local artists and makers, alongside a wide selection of artist-designed cards. Browse and discover a range of jewellery, ceramics, textiles, prints, fused glass and more. Find that perfect gift, or why not treat yourself! 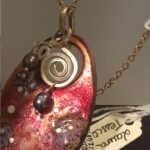 We have unique earrings, bracelets, necklaces and brooches to suit a wide range of pockets. 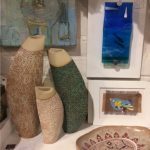 We are proud to stock a number of local artists and silversmiths, including Sarah Lamb, Carolyn White, Su Shippin and Tai Christie. Ceramics have been appreciated in households around the world since the beginning of time. 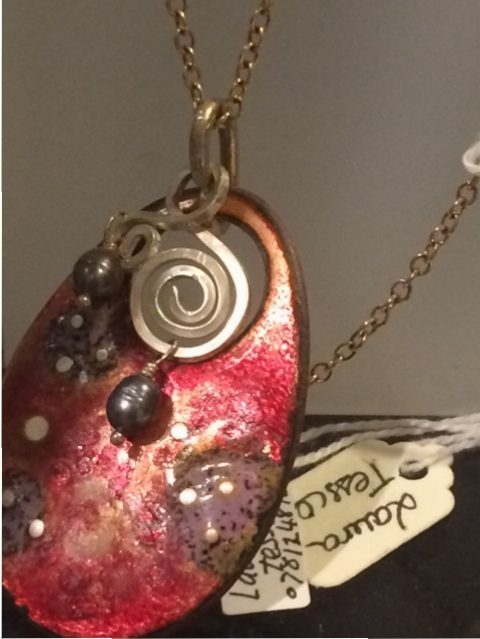 Here at Courtyard you will find a wide range of exquisite ceramic items, some artistic some practical. 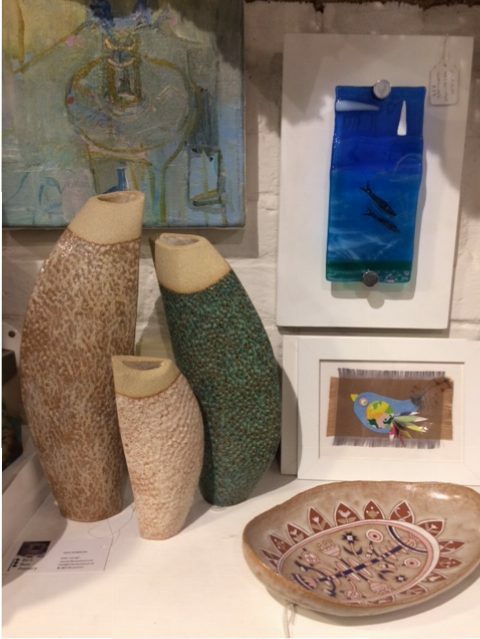 We have work for sale by notable ceramicists including Nikki Roberson, Barry Jones and Aila Simpson. We also stock some wonderful tableware, including a range in support of St Elizabeth’s Centre at Perry Green. Glassware is bewitching and is becoming an increasingly popular medium. 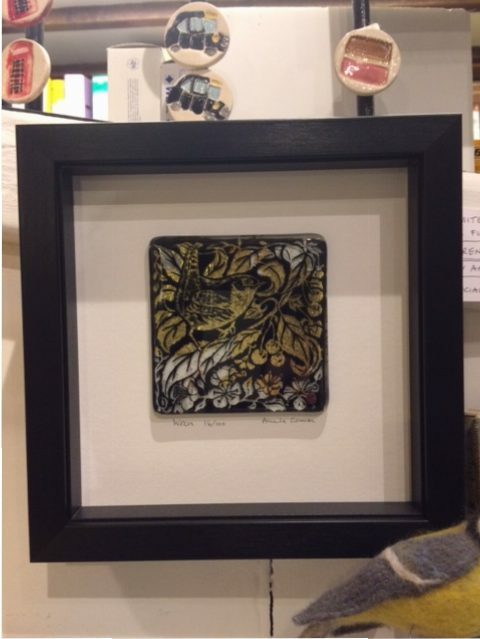 The glassware in our shop includes work by artists including Marion Hewitt, Gloria MacArthur and Amanda German. 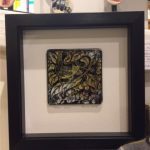 You can choose from a wide range of artists and styles, with work including fused glass, stand-alone pieces and framed work. 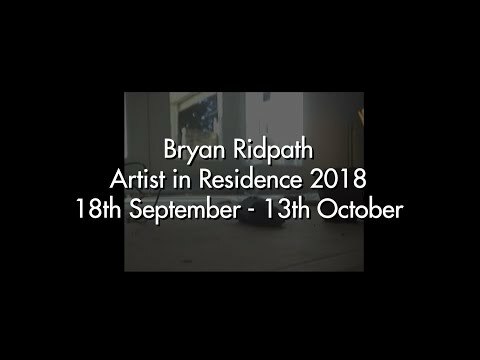 We have a particular interest in supporting the local artistic community and our range of cards features the work of local artists, many of whom have long standing relationships with the Courtyard. 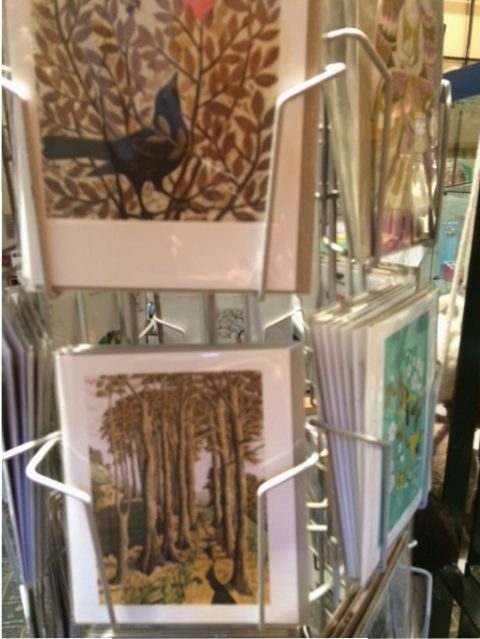 We also stock cards from leading art card publishers, feature the work of renowned artists and printmakers. Our outdoor Courtyard cafe makes the perfect sun trap to enjoy a freshly-brewed tea or coffee. 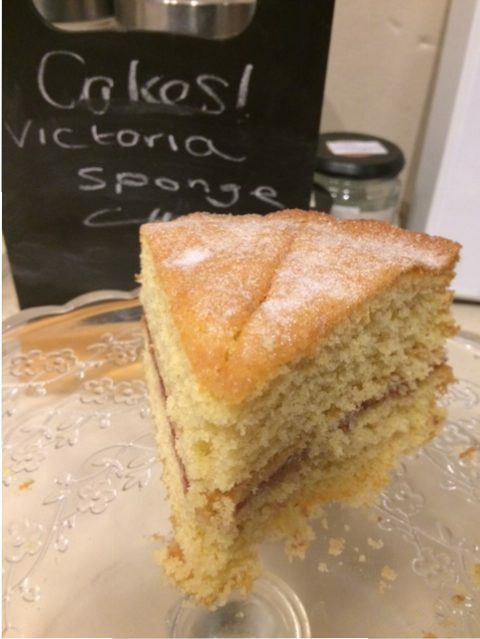 Choose from our selection of delicious homemade cakes and slices – all made by Courtyard volunteers. 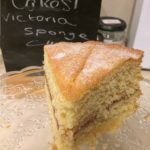 We have one visitor whose son always insists on his favourite flapjack here after his class on a Friday – who can blame him, they’re delicious! Poppies on the Beach – original framed linocut by Kate Heiss. Framed, £60. 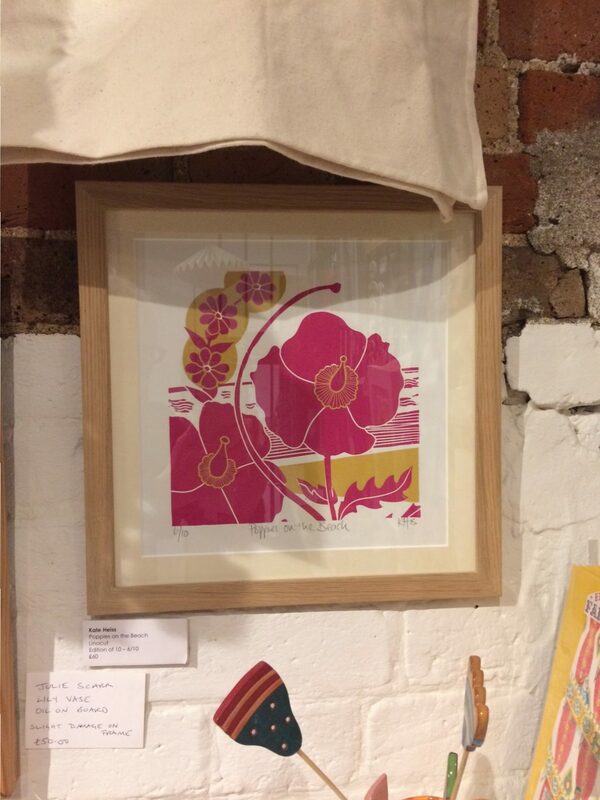 “I love the simplicity of the print and the delightful colour combination”, says Glynnis. 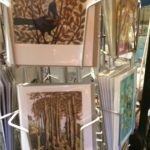 We agree, Kate is a real talent and definitely one to watch – some of her work is now published by the fine art card publisher, Art Angels.